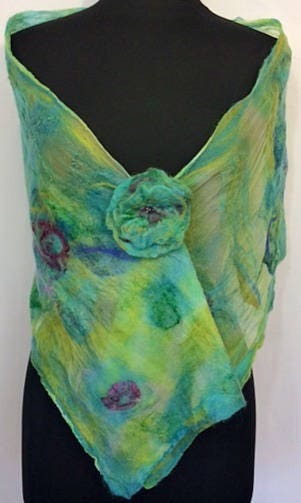 This beautiful hand painted silk scarf was inspired by the beauty of a tropical garden. 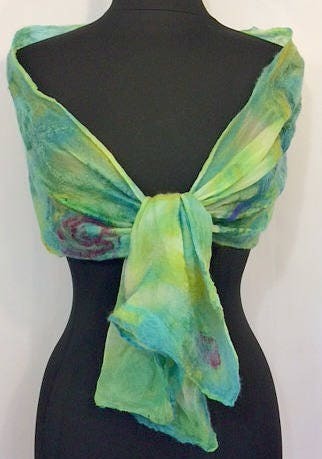 It is just waiting for the perfect summer outfit to compliment! 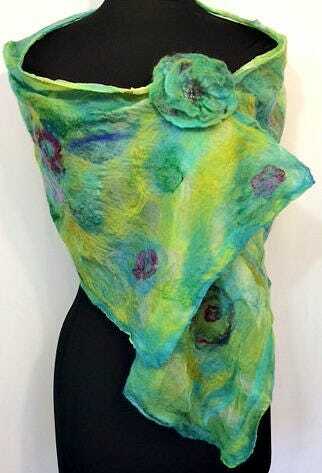 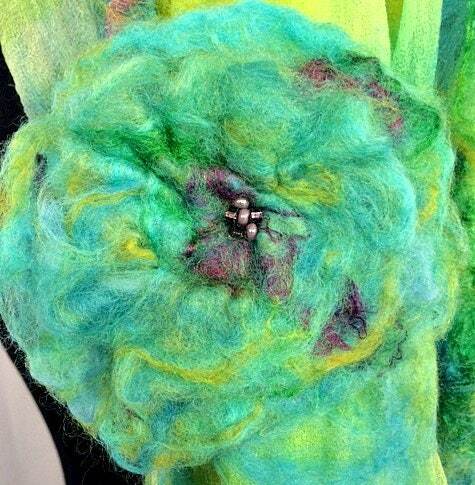 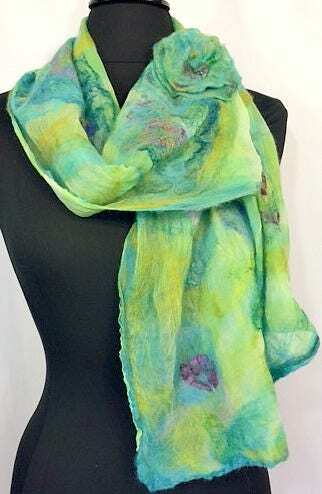 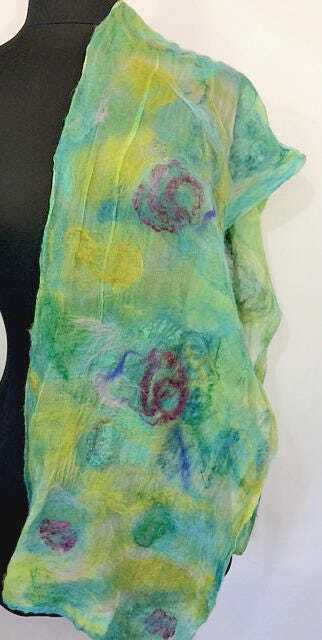 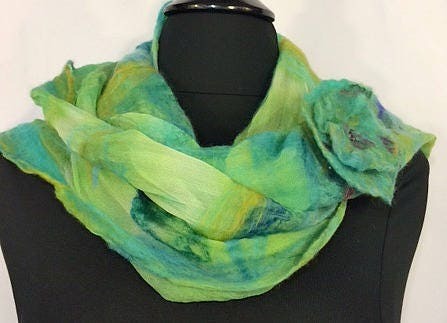 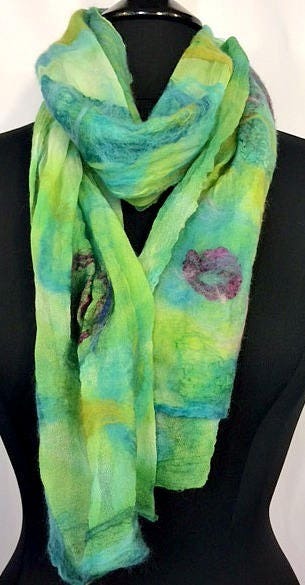 It was made through the process of wet felting with lots of silk and silk accents, natural merino wool fiber, and includes a hand beaded flower accessory.